As I discovered about a year ago, this is the only brand of coffee filters available at the local Whole Fountainhead. I didn’t want to buy them because the manufacturer/brander/purveying-corporate-nexus clearly holds me and everyone else who buys them in contempt. 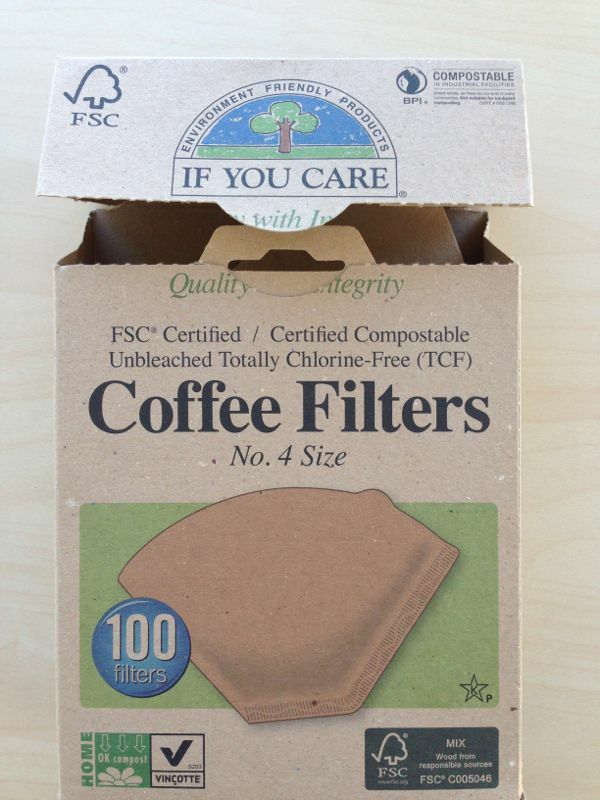 Either the manufacturer doesn’t “care” but thinks I can be manipulated into buying these coffee filters to demonstrate that I “care,” or the manufacturer does “care,” and deeply, and thinks that those who don’t buy the product don’t “care” and thus deserve opprobrium. This is the retail equivalent of those “I am a right-thinking person/I kick puppies” dialogs you get on Upworthy and its heirs. It feels good to kick the puppy, although maybe not now that it’s automatic. Cannot one give one’s care freely?